Paid Overtime for Sleeping on the Job? It’s an issue that California has somewhat definitively solved, but one with which the nation’s courts have struggled: If your work requires you to sleep on the job, are you thereby eligible for minimum wage, if not overtime, during your non-waking hours? A case in Connecticut involving caretakers who sleep at the homes of their clients may help clarify matters. 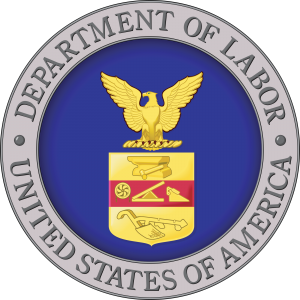 A federal lawsuit filed by the Department of Labor (DOL) alleges that Care At Home LLC failed to pay overtime to employees who sometimes worked more than 100 hours a week, including sleep time in some cases. The DOL also alleges that at least 10 employees worked between 48 and 112 houses, but were paid straight time for all the hours worked. Of the firm’s 90 employees, 51 signed the lawsuit when it was filed April 24. Domestic service workers provide services of a household nature in or about a private home. Persons employed in domestic service in private homes are covered by the FLSA. Domestic service workers include companions, babysitters, cooks, waiters, maids, housekeepers, nannies, nurses, janitors, caretakers, handymen, gardeners, home health aides, personal care aides, and family chauffeurs. Services that are not performed in or about a private home are not considered “domestic service employment” under the FLSA. California has put the issue to bed for some workers, at least if the state Supreme Court ruling stands. In Mendiola v. CPS Security Solutions, Inc., the court ruled that “all time spent at the employer’s workplace and under the employer’s control, such as sleep time …” is compensable. The ruling, however, covers only employees subject to the state’s Wage Order 4, who in this case were security guards. Wage Orders 5 (covering residential care workers) and 9 (covering ambulance drivers) provide for sleep-time exclusions (in other words, no pay for sleep). The Connecticut case will test if a federal court is willing to include sleep time in the pay provisions of the FLSA.